Thanks for that John. Well said by HRH. Sad that I couldn't be there. Even so I'll never be able to go back to Isandlwana in the future, without devoting some time to sitting in the sun and remembering Rob. Rob's sister Sally has ask that I make the forum members aware of this plan. After several requests, we have decided to look into setting up a Memorial Fund in Rob’s name. This will depend on the interest shown. It is planned that the proceeds from this fund will be used to restore St Vincent’s Church at Isandlwana – the stained glass windows; the flooring; the font; the doors; the seating and other general repairs. 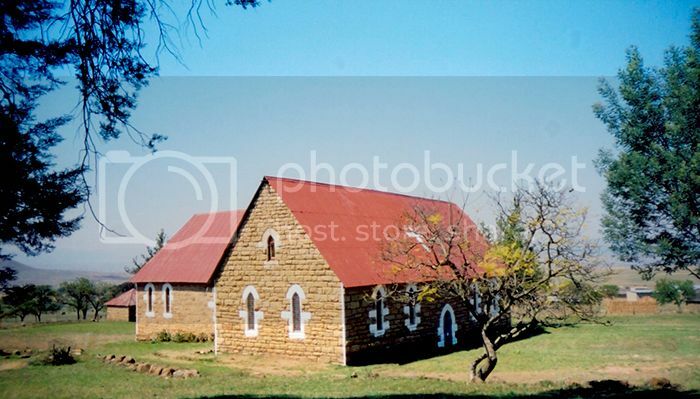 St Vincent’s was built in honour of those who died at Isandlwana and we would like to see it restored to its true beauty, not only to ensure that no further deterioration occurs, but also as an historical landmark in the area. If you are interested in participating, please email: [email protected] (attn: Lodge Manager) and we will be in contact with you. John, do you know if Peter Quantrill or Ron Lock are involved. It was a cause they were quite keen on. I would hazard a guess and say that they are aware of Sally's intentions. even though I was at first reluctant, for donations! However, we have already received several donations and promises of more. which as you'll know was built to honour those killed at the battle of Isandlwana on St Vincent's Day. must start with an inspection of the foundations and work on that area first if required. After that, we will look at the windows, flooring and the seating etc. All this will depend on the amount we can accumulate as obviously this work will be quite costly. in terms of funds in hand, and what if anything we are able to undertake. I will provide the bank details for donations on request"
Sally has kindly sent some pictures of the Memorial Service as well as friends saying a farewell. If anyone needs the details of how to make donations to the fund, please contact me. Great images. A fitting tribute. I was saddened to hear of his death. He had a good heart.